A quiet, determined presence, Dan Cole rose to prominence with England after a tough start in the game at Leicester Tigers. Having spent time in the Championship with Nottingham, the tight-head battled with legendary Italy prop Martin Castrogiovanni for game-time at Welford Road and emerged in credit for the experience. After becoming a regular fixture with the Tigers, Cole made his Saxons debut against Portugal in 2009 and turned out at that year's Churchill Cup. He was then promoted to the England squad for the 2010 Six Nations as injury cover for Tigers team-mate Julian White and went on to make his debut as a replacement in the Championship opener against Wales. He was then granted his first start the following week against Italy in Rome. A strong set-piece player, Cole over time developed into a tough, gritty forward around the field, securing a regular starting berth with England in the process. Following a poor team performance at the Rugby World Cup, Cole retained his spot under Stuart Lancaster and repaid his new coach's faith in part by demolishing the Irish scrum at Twickenham in the final game of the 2012 Six Nations. Cole continued to build on his burgeoning reputation, starting all of England's Tests on tour in South Africa and their autumn internationals in 2013, which included a famous win over New Zealand. 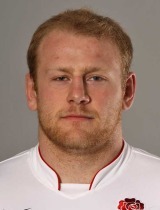 And he played a central role in their Six Nations campaign, which ultimately ended in disappointment. However's season ended on a high as he was named in the Lions squad to tour Australia.